Everyone who is old enough to remember the television show “Flipper” has wished they could swim and interact with dolphins. I remember that as a child I fantasized about being able to have a “pet” dolphin. Dolphins, however, are not pets. 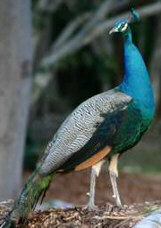 They are wild creatures who should be respected as such and conserved as a natural resource that can’t be replaced. For those of us who still have a strong desire to swim with dolphins, our dreams can come true! There are actually several dolphin encounter opportunities available in Florida, primarily in southern Florida. For my dolphin experience, I chose Dolphin Plus in Key Largo, Florida. Part of the reason for my choice was that we were touring the Florida Keys and Key Largo was a logical stop on our return trip. Also, this dolphin encounter became famous for working with handicapped children and dolphins as part of therapy. Traveling north on US 1, known in the Keys as the Overseas Highway, we were returning to our home in Cape Canaveral from our visit to Islamorada Key. We turned south onto South Ocean Bay Drive, and then east onto Corrine Place, following the signs to Dolphins Plus. 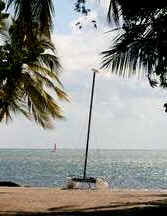 Key Largo is one of the larger Keys, but even the largest is still a small island. We had no trouble at all locating the dolphin encounter. There were several programs to choose from at Dolphins Plus: natural dolphin encounters, structured dolphin swims, sea lion encounters, and therapy programs. For my swim with the dolphins, I chose the natural dolphin encounter where I would be allowed to swim freely with the dolphins and interact with them as they chose. The structured program is best for those who want an instructor or guide included in the swim, but I wanted to experience the dolphins alone. To enjoy the dolphins, you must speak English so that you can understand the instructions provided by the encounter employees. You must also feel comfortable in deep water where you can not touch the bottom. All equipment is provided, but since I had my own snorkel gear, I chose to use my personal equipment. Life vests are required and because Dolphin Plus provided extremely light weight vests, I elected to use their vest since it is much more comfortable than the one I owned. The natural dolphin swim I had previously made reservations for was scheduled at 1:30 p.m. Swims are offered at 9:30 a.m. for the early birds. Before being allowed to enter the water, I attended a one-hour educational course. I learned the differences between dolphins and porpoises: the dolphins have longer “beaks” or noses, and have the ability to turn their heads, which porpoises do not have. Dolphin communication, which is accomplished by echolocation, was explained as was dolphin anatomy, how to tell the differences between male and female dolphins and the social structure of dolphin families and groups. Acceptable behavior during the unguided dolphin swim was carefully explained; reaching out and touching the dolphins was prohibited, however the dolphins could choose to touch the swimmer. Grabbing hold of any part of a dolphin was absolutely unacceptable. Tips on how to get the dolphins to interact with a swimmer were covered since no food or other encouragement was provided. It’s all totally natural! The swim area was a natural ocean water basin. Thirty minutes of swim time was the norm, but time could be increased to 1 hour for an additional fee. Since all dolphin encounters are not inexpensive, I elected the 30 minutes swim. After putting on my fins, mask and snorkel and life vest, I entered the naturally warm salt water and found myself in a large basin with 6 bottle nose dolphins. Using some of the tips provided, such as making clicking sounds, it was only a minute or two before a pair of dolphins came to see who had come to visit them. They looked me over thoroughly, probably laughing to each other at how funny people look in all their gear, and swam away. They certainly did make some funny noises! Within minutes, another dolphin came up to see what was going on and nudged me gently. I surfaced for a breath and the dolphin came along! On the surface, the graceful mammal actually touched my face as if kissing me! I’m so excited to be in such proximity with this wonderful creature. Returning underwater, I swam over near the other dolphins. They swaim around me and I felt the currents created by their movement gently rocking my body. A sense of peace and relaxation covered me. I hated to have to return to the surface in order to take a breath! Floating atop the water with my snorkel extended into the air, face flat in the water, I relaxed and viewed the dolphins interacting with each other. These creatures were very playful and swam with the grace expected from a ballerina. Dolphins can dive as deep as 150 feet into the water on a single breath of air, so they can spend quite a bit of time between surfacing for air. The dolphins continued to check me out; eventually every dolphin in the basin came up to see me. Several touched me gently. I found it amazing that these sea creatures were so gentle and had so much personality. They are also known to be highly intelligent. All too soon, my 30 minute visit with the dolphins was over. After drying off and removing my dive gear, still in a state of absolute relaxation and ecstasy, my husband and I spent a little time touring the gift shop and facilities. My husband had given me this special treat and, due to the expense, chose not to participate himself. What a wonderful gift! I was not only relaxed, but felt loved and appreciated, as well. I was a bit sad to have to leave the dolphins and return to the highway, but we had a long drive home ahead of us. My swim with the dolphins at Key Largo is a memory I will enjoy and relive forever. If you wish to swim with dolphins during your trip to Florida, you will need to locate a facility providing this service and make reservations. Dolphins Plus is only one of several facilities which provide dolphin swims. Internet searches will provide you with specific information about cost, schedules, as well as maps and directions of what to bring with you. Don’t miss your change to enjoy dolphins up close and personal!